Asit Sen’s forte lay in his ability to balance the script and handle complex characters with ease and sophistication. An exploration of his Bengali films as a tribute on his birth anniversary today. (I have swum tirelessly in the union of the seas, fatigue had never gripped me. 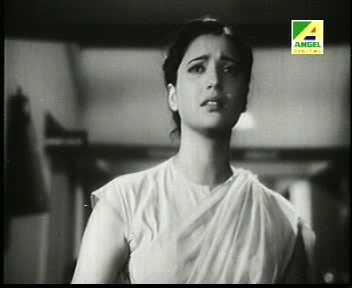 One of Bhupen Hazarika’s earliest hits under the musical baton of Hemanta Mukherjee, this song from Jiban Trishna (1957) aptly captures the essence of Asit Sen’s brief but illustrious repertoire… exceptionally well-crafted films that celebrated the indomitable human spirit to rise above almost insurmountable challenges and hold aloft basic human empathy and values. ‘Sagar sangame’ (Jiban Trishna, 1957) is a brilliant depiction of humming to oneself as you get ready for the day, but behind the apparent simplicity, the introspective words convey a deeper meaning of battling the demons within. Chalaachal (1956), Panchatapa (1957), Deep Jele Jai (1959) and Uttar Falguni (1963) – these are the classic films that are immediately remembered every time one mentions filmmaker Asit Sen. Jiban Trishna would probably come up later in the list. But take a relook at this one and you would know how only a filmmaker with complete mastery over his medium can handle a 6-edged storyline with such finesse. 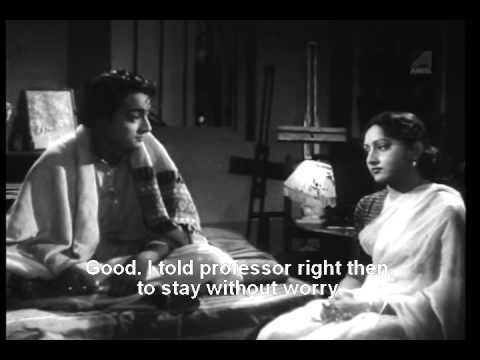 Of course, in the list of Uttam Kumar-Suchitra Sen films, this one for sure is a brilliant highpoint. 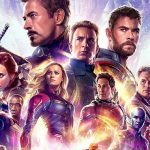 When you have six equally powerful characters sharing screen space, each with his/her own story of personal struggles and challenges that turn life’s course 180 degrees – you have a tricky challenge on hand as the director. 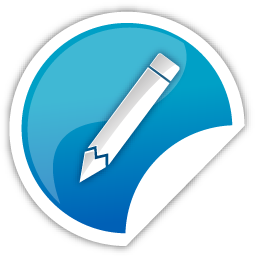 Chances are that the script can tilt in favour of one or two of the characters and make them grab the spotlight. Or there is a possibility the narrative can become complicated, flitting between each one of them. Any which way you look at it, it is a tall order. The forte of Asit Sen lay in his ability to balance the script and handle complex characters with a certain level of sophistication that make them connect directly with the audience. Sparks fly when the sophisticated millionaire Rajnath Samanta (Uttam Kumar) grandly woos the self-respecting, independent artist Shakuntala (Suchitra Sen). You have three parallel but unique relationships in Jiban Trishna. Despite having Uttam Kumar and Suchitra Sen as the lead pair, Asit Sen strictly avoids mushy romance and builds up a relationship of two equally matched people. Sparks fly when the sophisticated millionaire Rajnath Samanta (Uttam Kumar) grandly woos the self-respecting, independent artist Shakuntala (Suchitra Sen). She brushes off Mr Moneybags but when he becomes penniless trying to save his father from social stigma, she stands by him and claims her place in his life. The relationship between Rajnath’s parents Dr Samanta (Pahari Sanyal) and his second wife, the ethical and upright Sudeshna (Chandravati) is based on the need for care and understanding. Sudeshna keeps her real identity hidden from her son Rajnath as she considers herself unwittingly responsible for the breakdown of Dr Samanta’s first marriage… a monumental decision for any woman. The third relationship is the inexplicable bond that develops between the stoic and dignified widow Sabita (Deepti Roy) and her neighbour Debkamal (Bikas Roy), the ambitious elder son of Dr Samanta who had faced a deprived and orphaned childhood as his mother had walked out of their home when he was a child. When Debkamal tries to appropriate all of Dr Samanta’s property to claim his “rightful inheritance” and leave Rajnath with nothing, it is Sabita’s quiet disapproval that stops him from hurtling towards doom. Try and work all this into one script… it is no mean task. 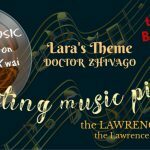 The music provides vital links as the story moves through the songs. 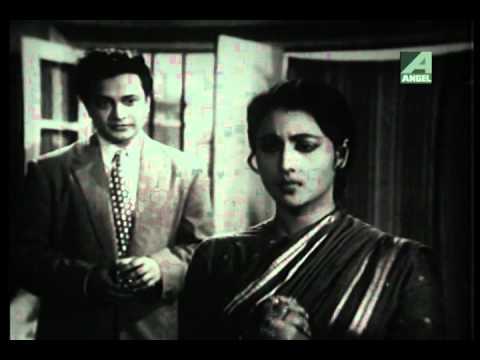 (R) Sabita’s (Deepti Roy) quiet disapproval stops Debkamal (Bikas Roy) from hurtling towards doom. The tall and strapping filmmaker was an ace cameraperson himself and thus, not surprisingly, cinematography was a highlight in all of Asit Sen’s films. This film was a perfect example of Asit Sen’s characteristic style to keep the movement happening as the script raced through, the characters conversing with each other in a perfect reflection of our daily lives. Each camera angle is well thought out and the actors never looked better – the low angle shots of Uttam Kumar and Suchitra Sen are pure class! ‘Ke daake aamaye’ (Jiban Trishna, 1957) – a haunting song by Lata Mangeshkar captures the loneliness of Sabita as she goes through the day-end chores, singing to herself on the terrace as dusk sets in against the skyline. Asit Sen’s strong base in photography had struck roots when he joined films as a camera assistant to DK Mehta before assisting his uncle, the then noted cameraman Ramananda Sengupta on Purbaraag (1947). 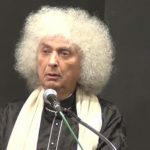 His first brush with cinema independently was a 16mm documentary on Gandhiji’s tour of Noakhali and Patna followed by an Assamese film Biplabi (1948), about a young radical who sacrifices his life for the country. In the genre of films made on nationalistic themes, Biplabi remained a benchmark for many years to come. Carrying on his fascination with the lenses and cinema, Sen ran a photographic studio while studying Hollywood films extensively, particularly the work of Alfred Hitchcock and Danny Kaye, often persuading the managers of theatres in Calcutta to run specific reels for him! Sarama (Arundhati) loves the ailing artist Avinash (Nirmal Kumar) but he compels her to marry the rich Bipin to ensure a more secure future for her. 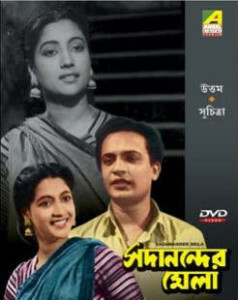 Sen’s first independent Bengali film was Chalachal (1956) that explored the tribulations of a terminally ill young man and his struggle to ensure a secure future for his lady love. Sen’s debut in mainstream cinema thus began with a super hit. The film starring Arundhati Devi, Anil Chatterjee, Asit Baran and Pahari Sanyal in stellar roles gave a new and path-breaking direction to Bengali cinema, through the eyes of Sarama Banerjee, a bright medical student. She is caught between her love for the sensitive but ailing artist Avinash and her loving husband Bipin, who plagued by doubts about her relationship with Avinash commits suicide. None of the two men understand Sarama’s heart truly and Sen brilliantly captures the lone woman’s solitary struggle to be heard. Sen repeated this success with Chalachal’s Hindi remake Safar (1970), starring Sharmila Tagore, Rajesh Khanna and Firoze Khan – a film known as much for its performances as for its music. Both the Bengali and Hindi versions continue to be shining examples of cinematic brilliance. Chalachal was followed a year later with another memorable and equally impactful film Panchatapa – both films were based on stories by Ashutosh Mukhopadhyay with Arundhati Debi playing the female lead. Panchatapa, set around a dam being constructed in Durgapur, explored love that springs between simple, ordinary people amid the most adverse situations. Breaking out from mainstream romantic films, it revolved around those who toil and struggle to earn their daily meal and even in the midst of their excruciating hardships and ordinariness, love blossoms. “Deep Jele Jai is enriched by Sen’s unforgettable performance, the chiaroscuro cinematography and the haunting musical score,” says Shoma A Chatterjee. After the success of Jiban Trishna, Sen catapulted right into the top league with Deep Jele Jai (1959) . 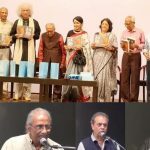 Picking up the story (Nurse Mitra) again from his most trusted resource Ashutosh Mukhopadhyay, Sen delved into the world of psychiatric cure through the determined efforts of a committed London-trained nurse Radha Mitra (Suchitra Sen). Radha’s forte lay in curing a patient of acute mania or a depressive state, typically arising out of a love relationship gone awry. The fine line maintained by doctors and nurses of avoiding personal relationships with their patients got blurred as Radha, playacting of being in love with her patient Debashish on the instructions of the chief medical officer, the Colonel (Pahari Sanyal), inadvertently fell in love. Her love and devotion cured Debashish of his ailment and he left the hospital to get married to his lady love who was the cause of his misery, leaving Radha heart-broken. Unaware of Radha’s real state of mind the Colonel ignored her pleas and forced her to take up the case of another patient Tapas (Basanta Choudhury). This time the roles reversed. As Radha’s play-acting of being in love with Tapas brought the violent and disturbed man back to normalcy and made him fall in love with her, Radha’s own constant inner duel of fighting a heartbreak and pretending to be in love pushed her over the edge towards insanity. One of Suchitra Sen’s career best roles, Deep Jele Jai catapulted Bengal’s beautiful Queen of Hearts into the league of super-talented actresses. Sen excelled in a performance that traversed the entire gamut of emotions, from the kind, sensitive and ever-smiling persona to the depressed, agonized and sleep-deprived Radha who gradually sank into mania herself, unable to cope up with the constant struggle of pretending to be in love and hurting within. In the Hindi version later, Asit Sen got Dharmendra for a guest appearance for this scene, perhaps keeping the star appeal in mind for box office needs. 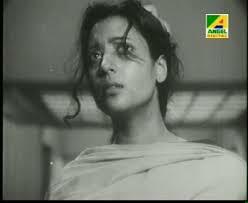 But in Khamoshi too, the haunting melody ‘Tum pukar lo’ was picturised with almost frame to frame similarity with its Bengali counterpart ‘Eyi raat tomar aamar’. Another song ‘Aimon bondhu aar ke aachhe, tomar moto sister’ also has an almost identical Hindi counterpart – ‘Dost nahin koi tumsa’. Waheeda Rehman as Radha and Rajesh Khanna as Arun Choudhury put up sterling performances in the Hindi remake. The story behind how this iconic film got remade in Hindi with equal success is an interesting evidence of how the people at the helm of the film industry in those days picked ideas that would create a lasting impact. In Gulzar Saab’s words: “Deep Jele Jai was an unusual film. When Hemantda narrated the story to me, I was completely taken up by the idea. When he asked, “Kaisi lagi story?” I replied, “Kamaal ki hai.” It took him barely a few minutes to decide that this would be his next film. And we were immediately off in his car to the Juhu Hotel, where Asit Sen used to stay. 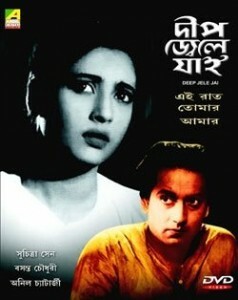 Deep Jele Jai remains a classic of Bengali cinema just as its Hindi remake has earned its place among the most sensitive films in the Hindi film industry. A number of Bengali films have been remade in Hindi, but there haven’t been too many instances of the same director remaking his own hits. Asit Sen treads this path, not once but thrice and every time just as successfully if not more than the original – with Chalachal and Safar, Deep Jele Jai and Khamoshi and Uttar Falguni and Mamta. Before Asit Sen moved to Bombay to dabble in Hindi films, he created yet another masterpiece Uttar Falguni (1963), the saga of an unfortunate mother’s relentless struggle to ensure a secure and respectable space in society for her daughter. 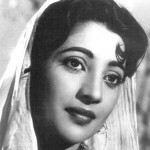 Suchitra Sen yet again raised her own bar several notches with a stellar double role performance, which she repeated two years later in the film’s Hindi remake Mamta, again directed by Asit Sen himself. The daughter now fights her mother’s case, but it’s a bit too late. 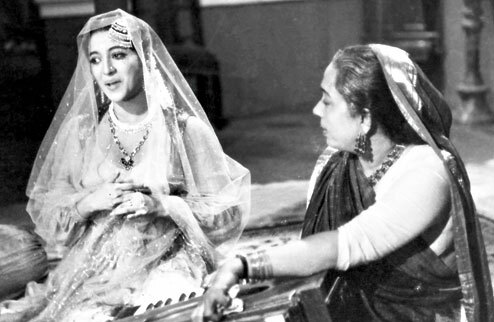 As the mother Debjani who thrown into the life of courtesan Panna Bai chooses to stay away from her daughter Suparna to ensure for her a safe, educated upbringing, Suchitra Sen’s double role performance left an indelible mark in the annals of both Bengali and Hindi films. The story by Dr Nihar Ranjan Gupta was not only a heart tugging tale of a mother’s single-minded devotion towards protecting her daughter from a life of misery and exploitation, it was also a story of love, which breaks through all social and physical barriers to reach a level where it is pure and spiritual, which only gives and takes nothing in return. 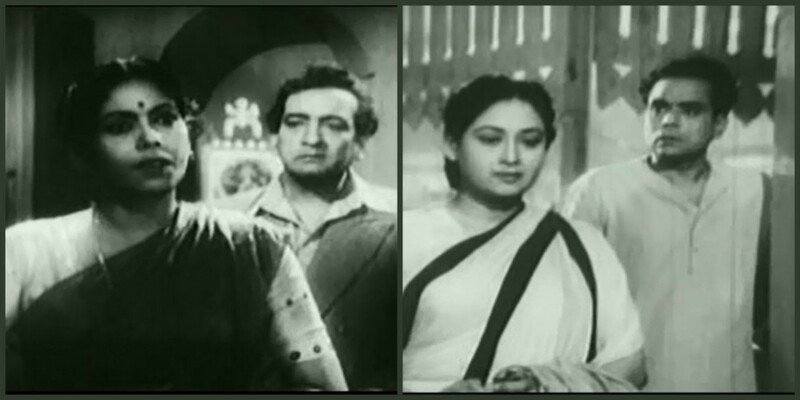 Debjani finds peaceful waters of unflinching support in Manish (Bikas Roy) who never marries and brings up Suparna as practically his own daughter. Unaware who her real mother is, Suparna follows her ‘Kaku’s’ footsteps to become a barrister. The truth finally dawns on her when Manish spends sleepless nights trying to save the “prostitute” Panna Bai from a hard sentence for shooting dead her rakish husband Rakhal who had threatened to reveal all to Suparna. The daughter now fights her mother’s case, but it’s a bit too late. The music by Robin Chatterjee uses three exquisitely crafted thumris and an evocative Rabindra Sangeet ‘Aguner poroshmoni‘ as crucial links and typically as in most Asit Sen films, the story develops through the songs. Says Lata Jagtiani, the author of several books including O.P. Nayyar King of Melody, “For me Suchitra has always represented the strong silent woman, she can absorb all that goes on around her, process that internally, and express what she made of it through her eyes….the strength of the fragile yet strong woman.” Summarising the essence of Mamta, she said, “The perfect love, the love Devyani had for this one man. And the love he had for her, beyond being doormats and being dominating, beyond the ego, beyond the body, towards the spiritual. I doff my hat at the film…one of the finest ever created in Hindi cinema. It changed me and it made me see that love is so deep, it can go beyond time, beyond flesh, beyond ego.” Needless to say, this description applies just as much to its Bengali original too. Asit Sen’s brief repertoire in Bengali films will always shine as bright examples of excellence in the art and craft of filmmaking. 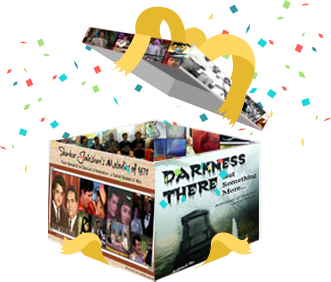 In terms of storylines, characterization, scripting, dialogues, performances, technique and music, these films will continue to be referred to by students of cinema and unequivocally loved by all those who enjoy good cinema.